Jill McPherson believes there is nothing more important than "doing everything with great love". Jill has been a wedding officiant for over 3 years and brings a warm, welcoming, and light-hearted energy to a couple's wedding day. Jill attracts couples who are seeking a personal and meaningful ceremony that matches their beliefs and personalities. Together, she supports couples in creating just that. No two ceremonies are the same. There is something uniquely special about every ceremony she officiates. Jill looks forward to collaborating with you to make your wedding ceremony uniquely yours, special and memorable. Jill brings her professionalism, pubic speaking experience, fun, heart, and inspiration to all her couples. -Discuss your ideas and wishes to create a unique and personalized ceremony that you have always dreamt of. -Guide you in what is required in completing the legal documents. -This is your special day so I will be available to answer any questions or concerns that may arise up to and including your wedding day. -Attend your rehearsal in order to lead you and your bridal party through the critical steps and information required for a flawless wedding ceremony. -Be a calm and grounding presence on your special day. -Leave you with a beautifully bound copy of your wedding vows and ceremony as an invaluable keepsake. 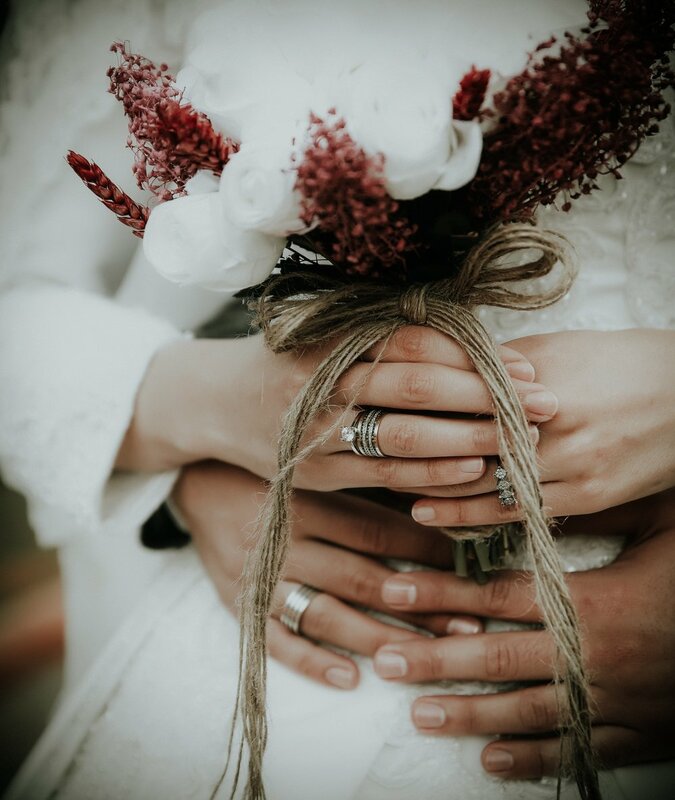 -After your wedding, 3 opportunities for follow-up discussions to support your transition into an enriching life together and to further deepen your relationship. Scheduled by you, within 18 months after your wedding.